How Can Brands Capture the Hispanic Consumer? For the first time ever, this September ESPN will become the first mainstream sports media network to broadcast Nación ESPN, a show geared toward Latino sports fans where English will be the main language but guests will have the option to speak in Spanish. This announcement came hot on the heels of iPhone’s debut of its bilingual keyboards, enabling Latinos to converse in Spanglish via text as they do in real life without the hassle of having to switch between keyboards for spelling and grammar specific to each language. Both happenings are testament to the increasing power of the growing Hispanic population in the U.S. Currently representing some 18 percent of the population with 60 percent (and growing) of the demographic falling into the millennial category or younger. And with a spending power of $1.5 trillion it’s no wonder that brands are looking to adapt their strategies to target this group. But there are many complexities in reaching this powerful demographic. Differences in age, culture, income and language preferences are just some of the barriers to be overcome. That’s why this week we’re asking our RockStars – How can brands capture the Hispanic Consumer? How Can You Engage Using Video? The power of video content is undeniable. Including video on a landing page can increase conversion by 80 percent and video in an email leads to 200-300 percent increase in click-through rate. That’s why the medium can no longer be ignored as part of your marketing mix. But video consumption habits are changing. Live social platforms like Facebook and Snapchat are taking viewing time away from more traditional online platforms like YouTube, and shrinking attention spans mean that short form or micro content (videos less than 5 seconds) are proving as, or more, effective than TV-style 30 second spots. So while marketers know they need to spend more time on video, understanding what’s going to work best for their brand is hard. That’s why this week we’re asking our RockStars – How Can You Engage Using Video? Miami has a not-so-well-kept secret that, for those who visit, is a unique, memorable and totally Instagrammable experience. 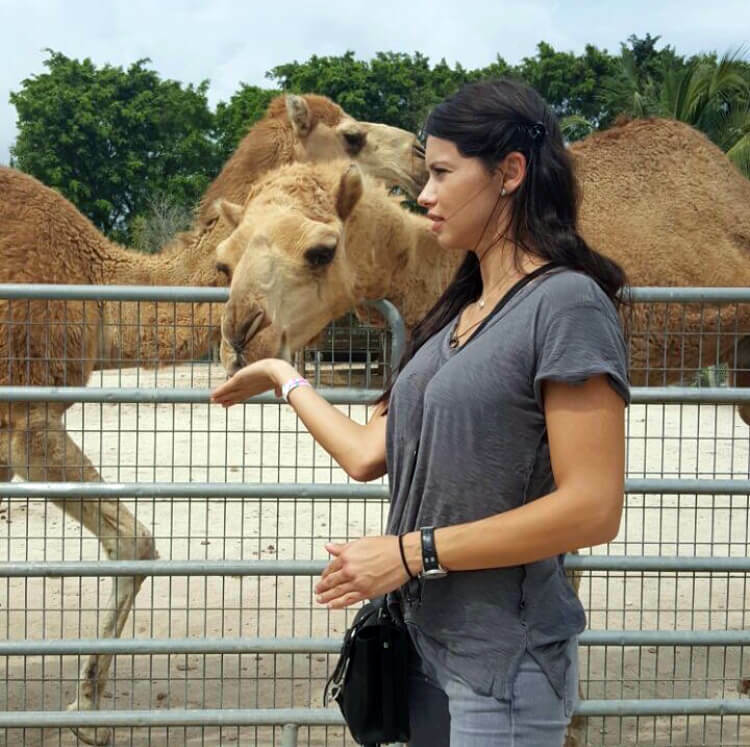 The Zoological Wildlife Foundation (ZWF Miami) is home to nearly 200 exotic animals including lions, leopards, camels, otters, baboons, monkeys, anteaters and more. The mission of the foundation is to provide a safe haven and better quality of life for these animals that come from all parts of the world and even at time have been rescued from at-risk situations, such as canned hunting. 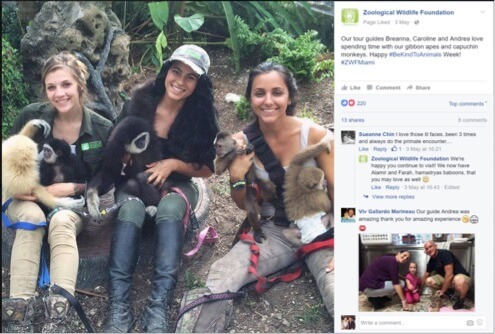 ZWF raises funds to continue to provide a better way of life for the animals by offering tours and one-of-a-kind personal animal encounters for members of the public with a focus on educating visitors on wildlife conservation. 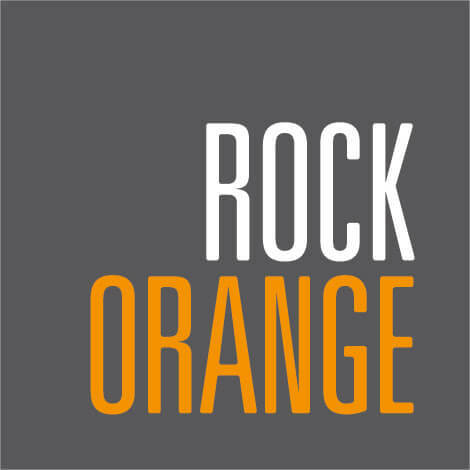 RockOrange was hired as the Agency of Record by the foundation in 2015 to help the brand find its voice, increase brand awareness and drive visits to the property. RockOrange set out to launch a content driven omni-marketing campaign showcasing ZWF’s exceptional, upscale experience as well as their commitment to their animals. We started by honing the brand’s voice. 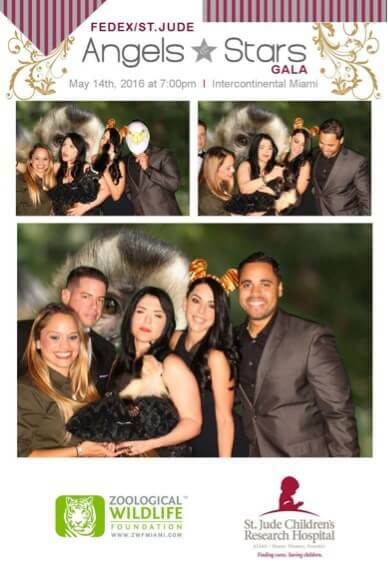 Focusing on the animals and their experience in the zoo, the goal was to showcase the commitment and respect ZWF has for their animals. This also provided the opportunity to keep the tone light and imbued with the animals’ fun personalities. All digital properties, including the website, social channels, and user-review sites, such as Trip Advisor, were updated with the new voice, and an SEO campaign was launched that helped raise the client’s Google page ranking from one to three. 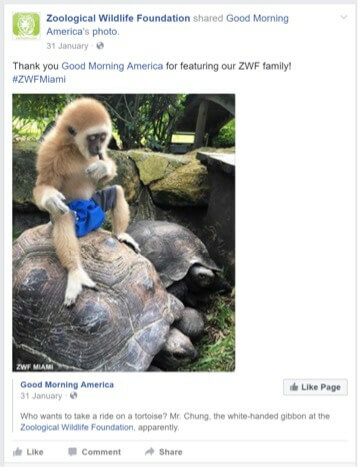 Snackable, shareable content in the form of photos, videos and blog posts was produced demonstrating the relationship between the animals and ZWF’s team and shared via a social media strategy with a focus on consistency. Private tours and animal encounters were arranged with local and national influencers who were encouraged to amplify awareness of the foundation by sharing images and videos of their visits with their established social communities. 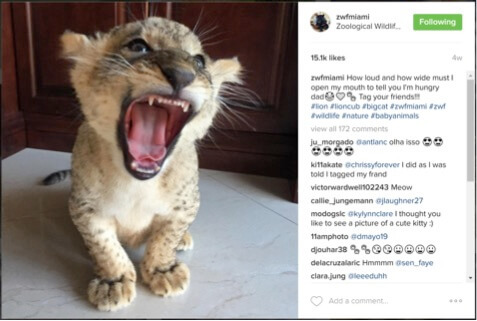 ZWF, its founders and brand ambassadors were weaved into the conversation by keeping a close eye on trends in wildlife conversation and a relationship was built with key media through media tours, FAMS and sharing of newsworthy content. ZWF’s online presence increased by 343 percent. Website traffic increased by 63 percent, the brand’s social media following shot up 67 percent and a 13.41 percent engagement with ZWF’s Facebook community was maintained. 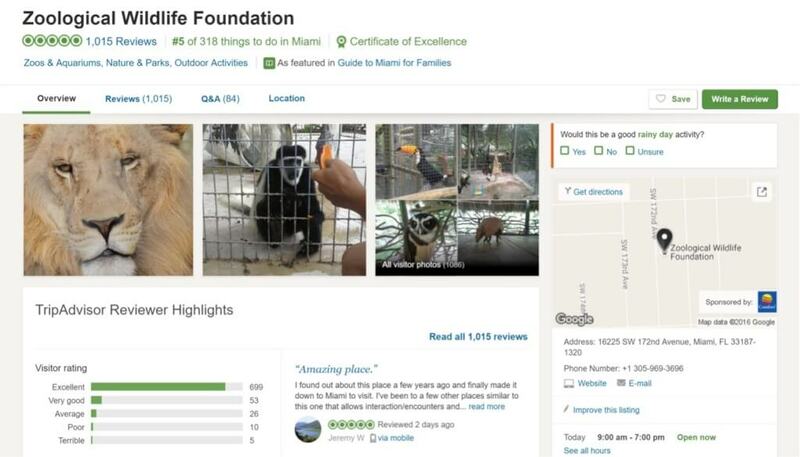 ZWF was mentioned on Good Morning America, Today Show, Inside Edition, Associated Press, Reuters News Service, CBS Miami, USA Today, Yahoo!, The Miami Herald, NBC 6 in and thousands of other broadcast and internet publications. Influencers including Kate Upton, Kourtney Kardashian, Jonathan Cheban, Adrienne and Chris Bosh, Adriana Lima, Lele Pons, and Dan Le Batard all visited the property and shared content on their social media channels. 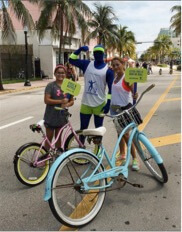 Relationships were forged on behalf of ZWF with Greater Miami Convention & Visitors Bureau, Gilt Groupe, St. Jude Research Hospital, South Florida Concierge Association, Amigos for Kids, HBO, and New York University. Additionally, RockOrange secured the filming of HBO’s hit series Ballers, which stars celebrity Dwayne “The Rock” Johnson. 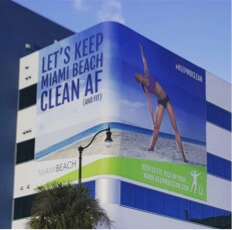 Overall, the content driven approach proved successful in increasing revenue for the foundation by 217 percent in the first year of the campaign. How Can Brands Turn A #Fail Into a Win? Last week marked the kick off of the 2016 NFL season and with it, the much anticipated start of fantasy football. However, on Sunday the ESPN Fantasy Football app, which everyone and their mother uses to track their stats, went down and consumers took to Twitter to vent their rage… or post hilariously mocking memes. For today’s constantly connected consumers who are checking their phones around 46 times a day, the internet, and more specifically, Twitter, has become a ‘social telephone’ to call in complaints about brands and customer service in real time. And those customers expect a response. Fast. However, while 78 percent of people who complain to a brand via Twitter expect a response within an hour a 2015 brandwatch study discovered that only 46.6 percent of brands engaged with any tagged @mentions (which were categorized as neutral, questions or complaints) with 64.6 percent responding to questions within five days and only 11.2 percent responding within one hour. Nevertheless the opportunities for brands to turn their social media #fails into wins is possible. Which is why this week we’re turning to our RockStars to get their advice as we ask – How Can Brands Turn A #Fail Into A Win? As the 2016 U.S. presidential race heads into the home stretch there are just a few points separating the candidates which is why, beyond the party politics, their personal brands have never been more important in helping sway opinion and those still undecided voters. While Clinton and Trump have teams of people working around the clock to help craft their messages and perfect their image online and IRL, there are plenty of lessons that brands and individuals can take from the race to build support for their own personal branding campaigns. That’s why this week we’re exploring those lessons and asking our RockStars – how can you build your personal brand?